Tuba Christmas 2018 in Northfield: Save the Date! Vintage Band Festival is presenting Tuba Christmas 2018 in Northfield, Minnesota on Saturday, December 1 at 3pm. The event will take place in Skinner Memorial Chapel, 405 1st St. E. on the campus of Carleton College. St. Olaf College professor Dr. Arthur Haecker with be the Guest Conductor for the afternoon. Vintage Band Festival Artistic Director Dr. Paul Niemisto will be the host. 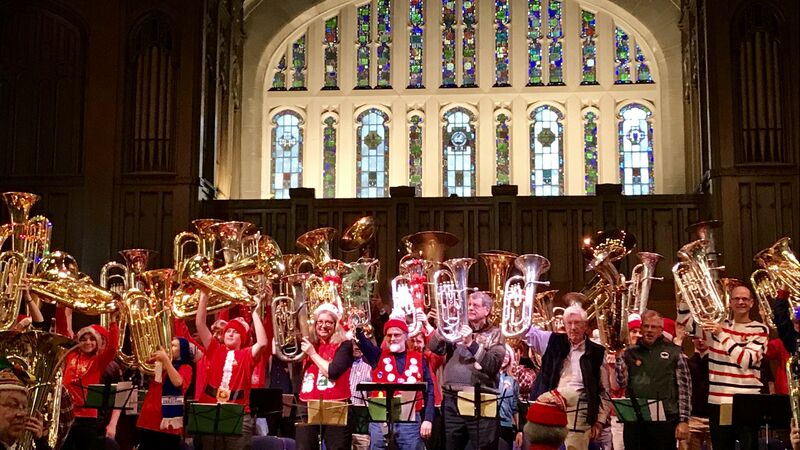 Tuba Christmas is an event that brings together euphonium, baritone,Sousaphone and tuba players of all ages to play Christmas carols for the enjoyment of family, friends and the general public. The music made by dozens of low brass instruments playing as a choir is an experience not to be missed, either as a participant or as a listener. Registration for participants in Northfield’s Tuba Christmas 2018 will open at noon on December 1. Registration fee is $10. There will be a rehearsal at 1pm and the performance will be at 3pm. Music played at Tuba Christmas will be from “Carols for a Merry Tuba Christmas” which will be available for purchase at registration or can be ordered in advance. Participants should bring a music stand. Details for the event can be found at www.vintagebandfestival.org . 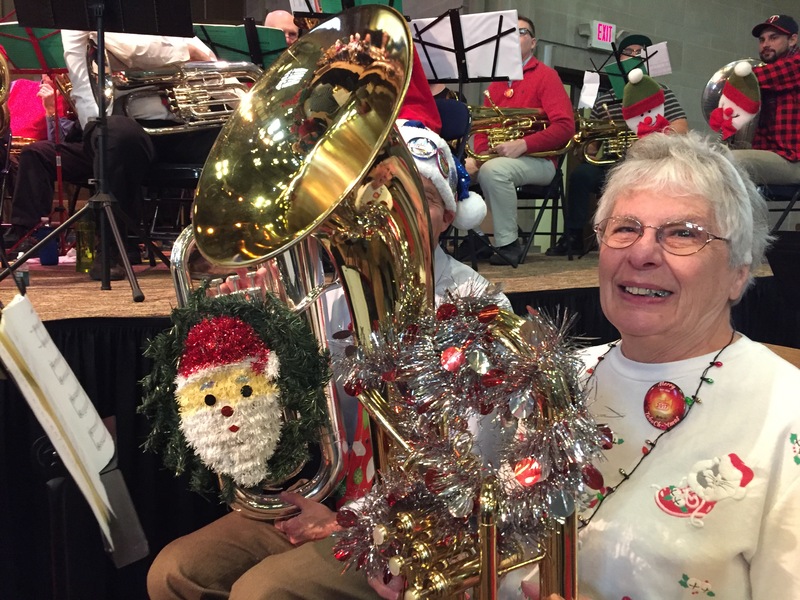 This entry was posted in Tuba Christmas on October 25, 2018 by Dan Bergeson.